Be free and choose your destiny in Mafia City, the place where you can become a World Tycoon, a Mafia Boss or anything you want to be! 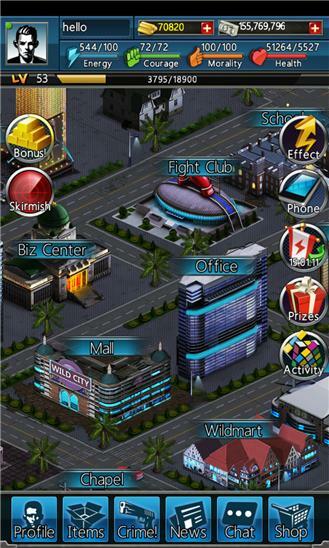 Mafia City is an online multiplayer crime and mafia game. Unite and grow your family into a world-class criminal empire. Hit the gym, ravage the streets, conquer world capitals, and climb your way to the top as the ultimate crime lord. Do you have what it takes? Leave your morals at the door, grab your guns and let’s get the job done. Or go and create your financial empire! Travel around the world: buy, sell and trade properties, specialties, weapons, armor and equipment! Get business done and work your way to the top! 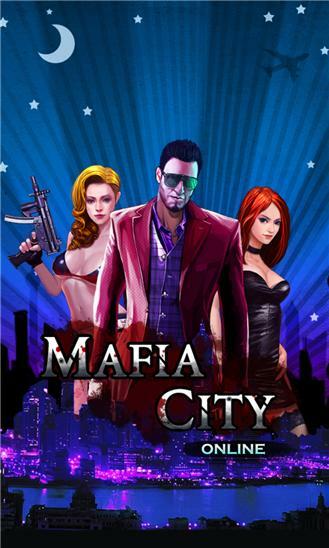 Mafia City features: - Extremely free gameplay in an online world with thousands of players - Fight, rob and cripple other players online - Make fortunes by investing in property, business and trade - Create a family with friends and work together to get respect - Build muscle and improve your weapons and armor to defeat your enemies - Chat, make new friends, defeat your enemies and meet the love of your life - Indulge in criminal behavior to expand your empire - Enjoy exciting global activities updated frequently Join us online: - Facebook: facebook.com/wildcitygame - Twitter: twitter.com/thewildcitygame NOTE: - This is an ONLINE ONLY game. You must be connected to the Internet to play. 1. Added Item Lock to the warehouse – lock your most valuable items to avoid accidentally selling or sending them away. 2. Added more level up gift boxes! 3. Improved events display – unimportant events will no longer constantly appear and clutter your screen. 4. Added bag space information to understand what contributes to your bag space. 5. Mercenary animations can now be toggled on/off in the Biz Center Options menu. 6. You will now be prompted to first use any energy and courage restore items you have, rather than use gold to restore. 7. Misc improvements and optimizations from player feedback.